BLANCHE OF CASTILLE, Queen of France, was deeply grieved because twelve years after her marriage she was still childless. When Saint Dominic went to see her he advised her to say her Rosary every day to ask God for the grace of motherhood, and she faithfully carried out his advice. In 1213 she gave birth to her eldest child, Philip, but the child died in infancy. The Queen's fervor was nowise dulled by this disappointment; on the contrary, she sought Our Lady's help more than ever before. She had a large number of Rosaries given out to all members of the court and also to people in several cities of the Kingdom, asking them to join her in entreating God for a blessing that this time would be complete. Thus, in 1215, Saint Louis was born----the prince who was to become the glory of France and the model of all Christian kings. Alphonsus VIII, King of Aragon and Castille, had been leading a disorderly life and therefore had been punished by God in several ways, one of these being that he was worsted in battle and had to take refuge in a city belonging to one of his allies. Saint Dominic happened to be in this city on Christmas Day and preached on the Holy Rosary as he always did, pointing out how great are the graces that we can obtain through it. He mentioned, among other things, that those who said the Rosary devoutly would overcome their enemies and would regain all that they had lost in warfare. The King listened attentively and sent for Saint Dominic to ask if what he had said about the Rosary was really true. Saint Dominic assured him that nothing was more true, and that if only he would practise this devotion and join the Confraternity, he would see for himself. The King firmly resolved to say his Rosary every day and persevered for a year in doing so. The very next Christmas Our Lady appeared to him at the end of his Rosary and said: "Alphonsus, you have served me for a year by saying my Rosary devoutly every day, so I have come to reward you: I have obtained the forgiveness of your sins from my Son. And I am going to give you this rosary; wear it, and I promise you that none of your enemies will ever be able to harm you again." 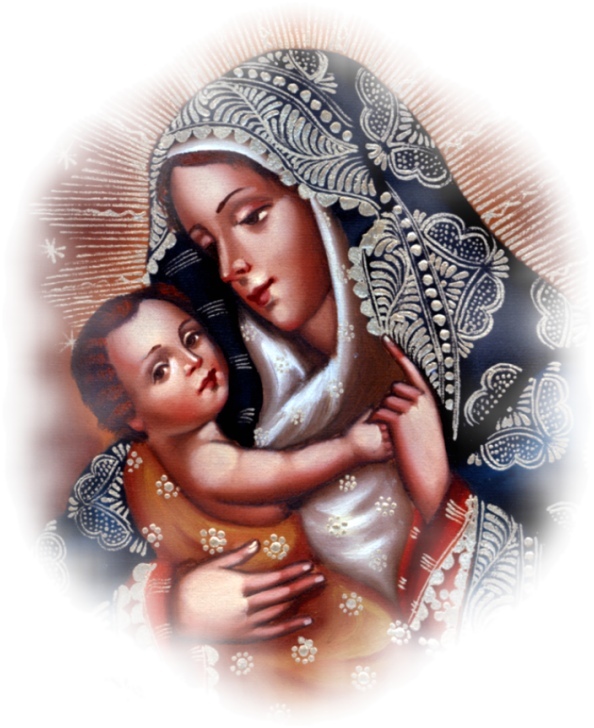 Our Lady vanished leaving the King overjoyed and greatly encouraged; he immediately went in search of the Queen to tell her all about Our Lady's gift and the promise that went with it. He held the rosary to her eyes (she had been blind for some time) and her sight was instantly restored. Shortly afterwards the King rallied some troops with the help of his allies and boldly attacked his enemies. He forced them to give back the territory that they had taken from him and to make amends for their other offences against him, and put them completely to rout. In fact, he became so lucky in war that soldiers rushed from all sides to fight under his standard because it seemed that whenever he went to battle the victory was sure to be his. This is not surprising because he never went to battle without first saying his Rosary devoutly on his knees. He made certain that all the members of his court joined the Confraternity of the Most Holy Rosary and he also saw that his officers and servants were devoted to it. The Queen joined the Confraternity and started saying the Rosary too, and she and her husband persevered in Our Lady's service and lived really holy lives.